Free Shipping Included! 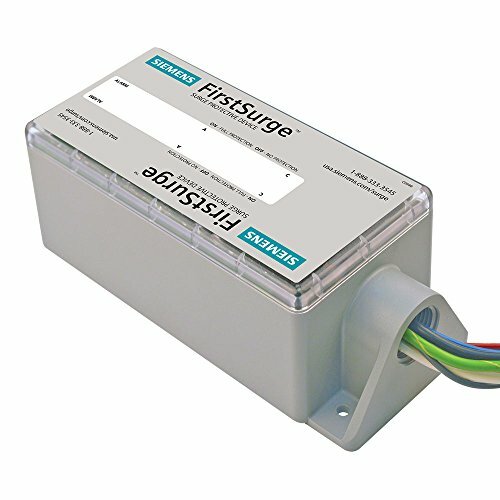 Siemens FS140 Whole House Surge Protection Device Rated for 140,000 Amps by Siemens at Pacs BG. MPN: FS140. Hurry! Limited time offer. Offer valid only while supplies last. Siemens believes today's residential surge protectors come up short when protecting today's modern home filled with smart appliances and electronics. Siemens believes today's residential surge protectors come up short when protecting today's modern home filled with smart appliances and electronics. This is why we developed our first surge commercial class total home surge protectors. When there is a problem, Siemens first surge takes the guesswork out of knowing when it is time to be replaced. What will you see and hear when this occurs? audible alarm: beeps green led(s): extinguish red service light: flashes first surge is also ground referenced monitoring-equipped notifying if you have a rare safety hazard exists due to a compromised electrical system neutral to ground bond. What will you see and hear when this occurs? audible alarm: beeps green led(s): remains lit red service light: flashes.